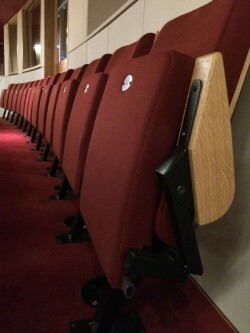 Simply Cleaning has worked with Theatres and Cinemas across the UK, carrying out a variety of specialist cleaning services. Having worked in the cleaning sector for 25 years, Simply Cleaning understands the need for fantastic customer service and that first impressions count – even more so when you are in the business of ‘entertaining people’. 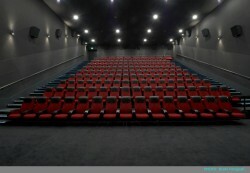 Simply Cleaning understand that your state of the art cinema and multiplex site as a leisure and entertainment facility has high traffic areas; such as front of house, walkways, cinema theatres, public toilets and food retailing areas. The cleanliness of welcome foyers, ticket booths, bars, and all the public areas of your building make a strong contribution to the overall impression that your customers receive on their experience at your venue. 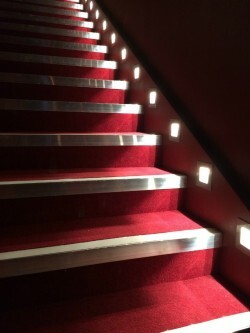 As a highly responsive company Simply Cleaning will work with you to ensure that you have the right level of support often being called on to provide additional services during busy periods of trade, such as school and Christmas holidays.Also providing services during high profile events including film festivals and red carpet film premiers. Simply Cleaning will provide a comprehensive cleaning specification which is delivered to auditoriums, foyers and washrooms, back of house areas, offices and projection rooms. Periodic works including carpet and seat cleaning, hard floor polish works, window and high level cleaning are also provided. Mobile teams provide rapid response for any unexpected or emergency incidents. Simply Cleaning senior management regularly visit sites and attend site meetings to engage with managers and encourage a working together approach, we have found this improves standards and ultimately the experience for the customer. A quarterly review is carried out to monitor all areas of the contract, this assists in providing a circle of continuous improvement. Simply Cleaning will provide a complete cleaning service for every part of your entertainment venue, including public areas and those that are for staff only. 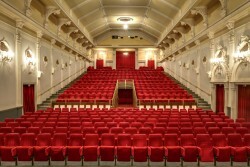 Simply Cleaning can carry out work when the venue is closed, or in the case of theatres and cinemas, in between individual performances. 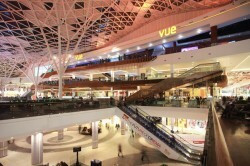 Cinemas and theatres often require specialist cleaning, such as food preparation areas. Where this is the case, our fully trained and professional teams can provide deep cleans to regular contract professional and effective cleaning to the very highest standards, and in accordance with all relevant legislation. Within cinemas a large proportion of the floor area is carpeted and the cinema and theatre seats are nearly always made of fabric. Simply Cleaning can incorporate deep cleaning at regular intervals to ensure both the seats and carpeted areas are looking great. Using Prochem trained staff and Prochem hot water cleaning truck mounted extraction systems the seats and carpets can be brought back nearly new condition. For a reliable and professional cleaning company, get in touch with Simply Cleaning. Simply cleaning can carry out a one-off deep clean or regular scheduled contract cleaning on a daily, weekly or monthly basis built around the individual needs of your venue.